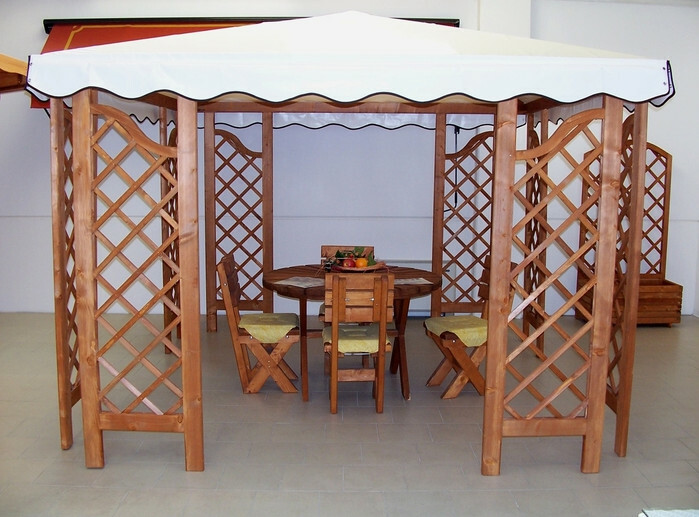 This gazebo is convenient, as it can be moved to where it is needed on the white deck. It has eight ladder-like pillars, with a criss-cross motif, four on either side, separated by two entry points. It has a white awning for a roof and four tiny dinner chairs, with a crossed leg design, surrounding a matching table.